What are edibles? Everything about cannabis edibles. How Can I Eat Responsibly? How Can I Handle Over-Consumption? Should edibles be eaten on an empty stomach? Do your eyes turn red from eating edibles? Can you be hung-over from edibles? Do edibles lose their potency? Edibles are various food like chocolate bars, candies, or mixture that have been infused or baked with adding cannabis. They are also called a variety of names like hash cakes, medibles, space crackers, etc. Edibles are great alternative for those who want to reap the benefits of medical marijuana without having to smoke or vape the plant. Usually edibles contain a higher concentration of THC and can take a bit longer time to have an effect, unlike smoking and vaporizing cannabis. Nevertheless, when eaten responsibly, the use of edibles is a great way to medicate without getting squeamish about smoking it. 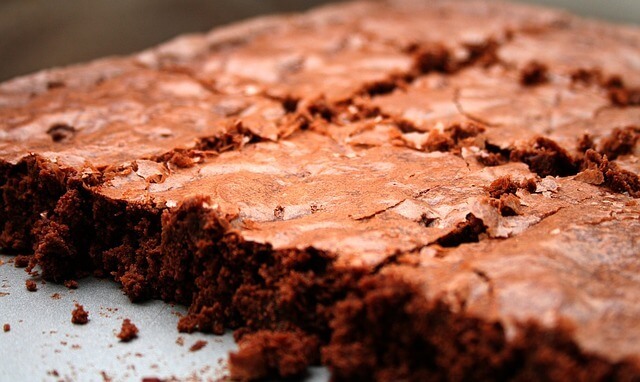 Popular examples of cannabis edibles are special weed brownies, no-bake cookies, marijuana tea, cannabis butter, weed ice cream, magic pancakes, butter cookies, etc. Eating or drinking raw cannabis seldom produces much effect. Human cannabinoid receptors can only effectively react with the pleasure-producing molecules when a carbon molecule is killed off. This process is referred to as carbon conversion and occurs when cannabis is exposed to heat, fat or alcohol source. Thus, people smoke, vape or consume cannabis as edibles to aid the conversion as opposed to drinking or eating the raw plant. A good way to understand how edibles are made is first to realize that cannabis is fat soluble – meaning it dissolves best in oil. It is typically infused into butter or mixed with cooking oil which can then be used to make delicious treats. Ground cannabis can also be added to coffee or any food item without adding the much noticeable difference in taste. People who want to take cannabis without smoking or vaping it can purchase pre-made edibles or make theirs at home using cannabis oils or by adding ground cannabis to their foods. Unlike smoking where cannabis enters the body through inhalation before the effects are realized, edibles produce the effects of cannabis in the body through gastrointestinal uptake, oral uptake or the combination of the two. Gastrointestinal Uptake: Gastrointestinal uptake refers to the means by which cannabis is not absorbed in the body until it gets to the stomach. This method often takes longer for the cannabis to be absorbed in the body (like the foods we eat) but the effects can last longer than other types of edibles. Oral Uptake: These types of edibles are made with the intent of oral absorption. Since the absorption occurs in the mouth and not the stomach, the effects are quick to kick in but can also wear off faster. Oral uptake edibles work best for patients who are seeking quick relief through cannabis. Hybrid Uptake: Hybrid uptake edibles offer the best of both worlds. It combines gastrointestinal and oral absorption to provide patients with a fast-acting relief while also providing long-acting effects. One of the main reasons why so many people are reluctant to make their edibles at home is because they fear consuming too much. This fear is not out of place as it is important to make sure you take the right dose, especially if you’re using it as a medication. In such cases, you can go for the professionally dosed products dispensaries offer. However, just because you purchase an entire cookie of chocolate bar that has been infused with cannabis doesn’t mean you should eat them all in one sitting. Additionally, you may have developed a high tolerance for smoking or vaporizing marijuana, but you must also keep in mind that edibles are processed by a different system in your body. Your digestive system is a newbie to cannabis even if you’re not one. Generally, a dose is considered to contain 10 grams of marijuana. However, since everyone is unique in terms of metabolism, tolerance, etc, the perfect dosage is also different for each person. The perfect dosage refers to the amount of cannabis a patient needs at a particular time given their peculiarities which can vary from patient to patient. If you’re new to consuming edibles, it is recommended you start with half of a dose or less. It is also recommended that you don’t consume edibles on an empty stomach as it may intensify the effects. Hence, you can pre-snack before consuming edibles. Edibles are becoming a favorite pastime for people who don’t agree to the principle of smoking or cannot tolerate smoke. However, the effects vary and are typically dependent on your body chemistry, your tolerance and how much regular food you have eaten before consuming edibles. Consuming edibles is known to give patients a calmer, more relaxing high than smoking. Many people who have who have smoked cannabis and eaten edibles report that while smoking tends to give them a “head” high, consuming edibles gives them a “body” high. Additionally, many people abstain from smoking as it is known to have a negative impact on a person’s health. Leveraging on this disadvantage, edibles are now a popular alternative as they don’t have any negative impact on a person’s health. Moreover, edibles are a better choice if you’re looking to ingest cannabis discreetly and even in places where smoking is banned. There’s no one-size-fits-all when it comes to consuming edibles as several factors go into how edibles affect you. For a start, you should keep in mind that edibles are not FD-regulated which means there can be huge variations inconsistency of the products. Don’t be surprised if the same type of cookie from two different shops produces different effects. While each serving is typically limited to a maximum of 10 milligrams of THC, a single bar of chocolate that is infused with cannabis can contain up to 100 milligrams. One of the best ways to consume edibles is to resists the urge to eat too much at once. If you eat too much at once even before the effects kick in, you could be in for a nasty surprise. If you eat an overdose, wait for some hours before eating more. Trying to correct an overdose is counterproductive as it can force your system to digest the cannabis faster. Although it is recommended that you wait for about two hours to assess how you feel before taking more, many consumers can be caught off-guard by the stronger potency and long-lasting effects of edibles. While you can experience an overdose of edibles consumption, it’s not considered a life-threatening situation as you cannot die from it. 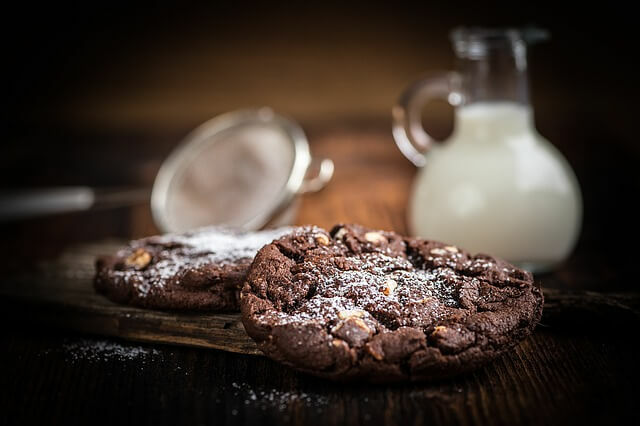 Popular signs of edibles overdose include paranoia, dizziness, lack of coordination, psychotic episodes, impaired motor ability, and hallucinations. If you experience these signs, you should close your eyes and drink lots of water. But if the effects are getting stronger than you can naturally handle, a CBD tincture or any other pure CDB edible can help. You can also use your CBD vape pen to see if it helps ameliorate the effects. Taking a good nap after the effects wear off should also help you feel better. Tetrahydrocannabinol (THC) is the key ingredient in marijuana that produces the psychotic effects you feel when you consume the plant. Its amount varies in different marijuana products, making it difficult to know and control how much THC you want to consume. If you’re making the edibles at home, the amount of THC can even be higher than the products sold at dispensaries. Furthermore, if you have other medications in your system, your body may metabolize different amounts of THC which can cause the THC levels in your bloodstream to increase five-fold. For this reason, it is advised to start with a minimum dose and work your way up when consuming edibles. Since edibles and their packaging typically look like other foods and drinks, many people tend to easily confuse them for non-marijuana products. Because of this, it is strongly advised to keep edibles locked up and out of reach of children and pets. Finally, edibles are essentially food items made with marijuana and are becoming a popular way to consume the drug. Although they contain a higher concentration of the plant compared to smoking, they have no negative impact on the body, especially when eaten responsibly. Edibles are not usual foods because of the marijuana-infused into them which is why you should always eat a meal before consuming them. When consumed on an empty stomach, the effects tend to kick in faster and maybe a little more intense than usual. For safety purposes, it’s better to eat first and then medicate with edibles. Eating edibles can make your eyes turn red because of the presence of a high concentration of THC. One of the effects of THC is that it lowers your blood pressure which increases the flow of blood in the body due to the expansion of your blood vessels. The blood vessels in your eyes also take in more blood which is what makes your eyes appear redder in color. The answer is two-sided. First, you can’t be hungover if you eat responsibly by not exceeding the dose that works for your system. However, if you eat more edibles than your body can tolerate, you’re likely to experience a hangover which includes brain fog, headaches, fatigue, and dehydration. If you’re not feeling well after consuming lots of edibles, drink a lot of water to stay hydrated and flush out your system. You can also exercise for about 20-30 minutes after which you should take a shower. Edibles have a similar shelf life to a range of food products which makes edibles lose little to no potency over time. One of the best ways you can store edibles is by freezing them so you can make use of them again when you want them. We have various selection of edibles. Please order a delivery from our menu or stop by and pick up in person. Our experienced budtenders will help you choose the best products!